Educating students is more than just a job for passionate teachers, it’s a way of life. From seeing a student’s face light up with understanding after finally working through a complex math problem, to watching students dive into new worlds through classical literature, these teachers derive great joy from seeing their students grow and learn. Unfortunately, while many teachers enter their jobs with this passion and drive, some feel this spark dim as their careers progress. Some teachers struggle to manage classrooms, meet national educational standards, and communicate with administrative leaders, hindering their abilities to create their desired classroom environments. Not all teachers encounter these problems in their careers, and many fight through the challenges, separating the good parts of teaching from the bad. By meeting these obstacles head on, teachers are able to maintain their passion, and effectively educate their students. In the book “A Passion for Teaching,” author Christopher Day examines ways teachers go from optimistic, passionate individuals, to burned out and exhausted ones. Day notes that there are times over the course of a teacher’s career where initial passion is replaced by frustration, fatigue, or cynicism. These “burnout” moments may be temporary though, and don’t necessarily signal the end of a career. Teachers who recognize and understand the source of their cynicism are able to address these issues through adjustments to their work or life. Each of these areas demand that teachers shift their attitudes or classroom procedures in order to maintain their passions. 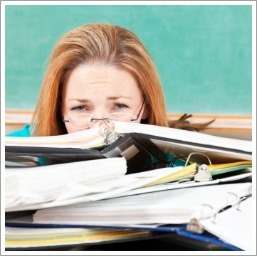 Classrooms maintained by a teacher affected by burnout only have further negative effects for both the teacher’s mood and his or her students. Without passionate teachers, classroom atmospheres tend to be boring, disruptive, and disrespectful, doing further damage to a teacher’s mental outlook. Burned out teachers typically use less hands-on, active teaching methods, and do the bare minimum of work to keep their jobs. So how can these burned out teachers recapture the passion that once spurred them to enter the teaching profession in the first place? Sometimes, it seems like teachers today feel more pressure to succeed than their students. National and state education policies often require teachers to adhere to strict instructional standards, sometimes changing a teacher’s lesson plans and judging teaching ability by student test scores alone. These strict standards sometimes cause teachers to feel stifled and uncreative, and they become disillusioned with their jobs, losing their passion. When teachers first start out, they may have plans and ideas of how to organize their classrooms and lessons they are forced to change due to educational policies. This sometimes causes a teacher to feel that they aren’t valued as a creative force, and must simply teach their students to pass tests. Teachers may not be able to enact the lessons they wish, and can’t personalize lessons as much as they once thought they could. Just because teachers must meet certain national standards doesn’t mean that they can’t be creative in the way they meet those standards. Teachers frustrated with policy should reflect on the reasons they first entered the teaching career, and brainstorm ways they can reclaim that passion. For example, an English teacher might have entered a teaching career with the goal of instilling a passion for reading in his or her students. National education policy mostly concerns itself with the testing scores of students, causing the teacher to shift lessons from reading they find enjoyable, to more routine lessons they may grow bored of. Teachers must understand that they can still personalize their classrooms to reflect their passions, while also adhering to national education guidelines. Some teachers fall into a routine because of standards, but the important thing is to try to have fun. In “Teaching with Passion,” published in Education Digest, author Jerelyn Thomas notes that teachers shouldn’t be afraid to make fools of themselves for the sake of engaging students. For example, if a teacher is instructing students in British literature, why not speak in a mock English accent to try and make the material fun, in addition to educational? By making class fun, teachers share their passions for education with students. This also goes a long way in addressing student behavioral problems, which may arise because of boredom in the classroom. Disruptive students often cause teachers to feel unappreciated, disrespected, and exhausted. Where once a teacher was energetic and ready to teach a class every morning, they might approach it with anxiety and stress, dreading the challenges before them. This is often a cyclical cycle, however. When teachers dread class and take less creative risks, the students grow bored, and sometimes more disruptive, leading the teacher to spiral further into burnout. When a teacher is overwhelmed by student behavioral problems, the most important thing to do is to take a step back and investigate why these problems are occurring in the first place. As a teacher investigates, they may find that the classroom atmosphere has stagnated, and they must brainstorm ways of developing deeper relationships with their students. Teachers should remind themselves of what first drew them to teaching in the first place. It’s highly likely that what first attracted them to teaching was making a difference in their students lives, and some teachers lose track of that goal when under pressure from disruptive students. Students may become disruptive if they sense that a teacher does not care about them. Famous teacher and subject of the 1988 film “Stand and Deliver,” Jaime Escalante set high expectations and demanded that his students succeed, changing the mood of a tough, inner-city classroom. The class was disruptive, sometimes threatening, and considered a loss by school administrators. However, Escalante set challenges and goals for his students, and they worked together as a team to meet those goals. He called it a “cooperative learning” approach, noting that he made students believe they were a team that was going to prepare for the Olympics. If a majority of a classroom is working together as a team to achieve academic success, there is increased pressure on other students to participate and take class seriously. Additionally, by working as a team, the teacher and his or her students are harnessing passion, and the teacher shows the students how passionate work pays off. In addition to a revamped classroom atmosphere, obtaining administrative support is key to managing disruptive classrooms. Teachers must not only establish good relationships with their students, but also with their fellow teachers and administrators. Needless to say, it’s essential to be a “people person” to effectively teach and interact with others in school. Much like teachers who demand the best from their students, administrative officials demand the best from their teachers. If a teacher begins to lose their passion and desire to teach, officials will notice and will likely ask what’s wrong. Teachers should not be afraid to approach administrators with their concerns, challenges, and problems. By staying open about what concerns them, teachers don’t appear weak, but caring and engaged. A teacher who shows they want to do well and meet challenges proves to an administrator that they have the passion needed to be effective teachers. Administrators who view this passion will likely do all they can to help teachers deal with issues stemming from disruptive students, disgruntled parents, or concerns about education policy. If an administrator isn’t supportive, and teachers find themselves becoming overwhelmed and losing passion because of it, that teacher must adjust and find support elsewhere. Teachers should help each other with ideas and problems, giving advice and tips to overcoming burnout and dwindling passion. If teachers do manage to develop good relationships with their administrators, they will likely feel relief from another high source of stress and burnout: challenging parents. As a teacher, it’s hard to hear that your methods aren’t effective, that you aren’t doing enough to help the children, or that a student received a poor grade when they should have received a good one – and it’s even harder hearing this from a student’s parents. Dealing with high parental expectations is a major source of stress for many teachers, and often leads them to feel unappreciated or frustrated. Teachers understand the intricacies and challenges of managing a classroom, and might feel they are doing all they can in the face of widespread disruption. When meeting with parents, the most important thing a teacher should do is prepare well, and be a great communicator. It never hurts to be extremely positive when meeting with a parent, and to give them examples of what the students learn in class, and the general structure of a classroom. If a teacher reflects on their classroom atmosphere, and provides an engaging medium for students to learn in, they should clearly explain the lesson plans and course requirements to parents. Some parents might feel that a teacher hasn’t done enough to engage their child, so teachers must prepare to clearly state their high expectations for students. Much like they share their passions with their students, teachers should share their passions with parents. Before meeting with parents, a teacher should create bulletin boards or posters to showcase some of his or her lesson ideas and classroom activities. A teacher who appears to truly love his or her career and shows how much he or she cares will satisfy a parent’s curiosity. Teaching is a challenging, tough, yet rewarding career that isn’t for everybody. It’s said that teachers are born, not made, and it all comes down to passion. Teachers who feel overwhelmed and anxious about their careers must step back and look reflectively at why they entered the career in the first place. There are times in every teacher’s life where they wonder if they made the right decision, if it could be easier doing something else, and if it’s all worth it. Then they think back to all of the times where a child finally solved a problem, or when a former student approached them thanking them for being such a wonderful teacher. The answer is that it is worth it, and these moments make up for any of the hardships and challenging moments. If you’ve felt yourself losing the spark, and are struggling to maintain passion, try to break routine and take creative risks. Scrap old lesson plans and start anew, brainstorming new classroom activities and fun experiments to increase the educational opportunities in your classroom. Maintaining your passion might be challenging, but if you work hard at it, you will be rewarded in the future. Passionate teachers often go on to become passionate leaders in their communities, taking up administrative roles and creating passionate schools. If you’re interested in learning more about becoming a passionate teacher, request information from schools offering master’s degrees in education.